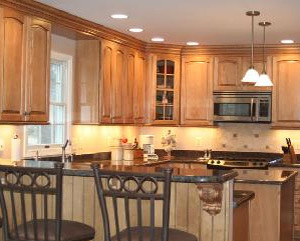 Whether you are looking for a complete remodel or just repairs, kitchen upgrades are always a good investment. 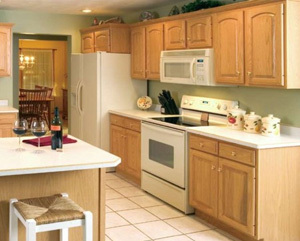 Buckeye Home Services in Dayton, Ohio, is here to help you with all of your kitchen remodeling needs. 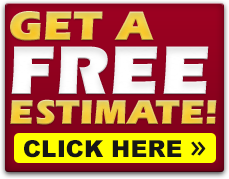 If you are considering remodeling an outdated kitchen we can help you find your style or let us help design your dream kitchen. 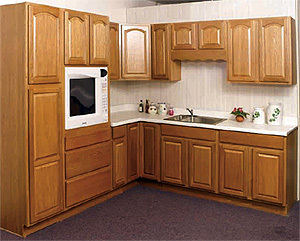 We can help you create the kitchen of your dreams. After all you spend alot of time in a kitchen with your family and entertaining. 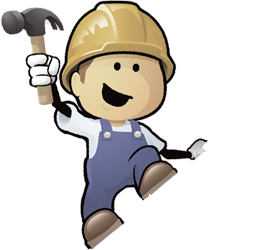 From designing to installing Buckeye Home Services can help you with getting that dream to come true. When you are ready to make that dream come true, give us a call. We will help you put together the look and feel you have in mind. 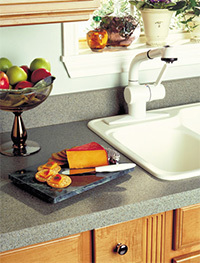 Countertops in Laminate, Corian, Granite. Laminate – Beauty, Durability and Easy Maintenance with Affordabiltiy. Corian – Easy to clean. Nonporous, stains do not penetrate the surface. 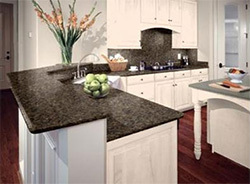 With proper cleaning, Corian also resists the growth of mold, mildew and bacteria. 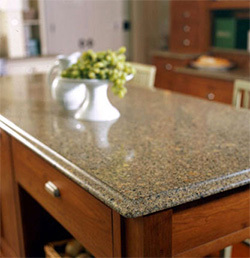 Granite – Resistant to wear and chemical agents. Light weight, non-absorbent, and frost resistant. It’s heat, stain, and scratch resistant, too.